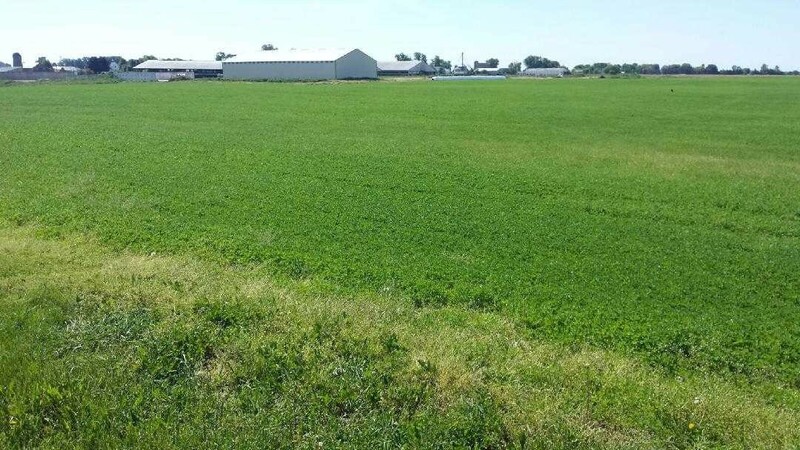 While most of our growers know we carry a complete lineup of superior seed corn and soybean products, it is a lesser known fact that we also offer three outstanding alfalfa varieties for growers looking for high forage solutions. High forage yielding, persistent alfalfa that has excellent quality potential. It has a quick re-growth after cutting to maximize the growing season and performs best in high producing, well drained soils. 214FY has a solid disease, insect and nematode resistance package that allows it to thrive in adverse environments. This variety is excellent for the dairy and beef producer that needs high tonnages of dairy quality forage. 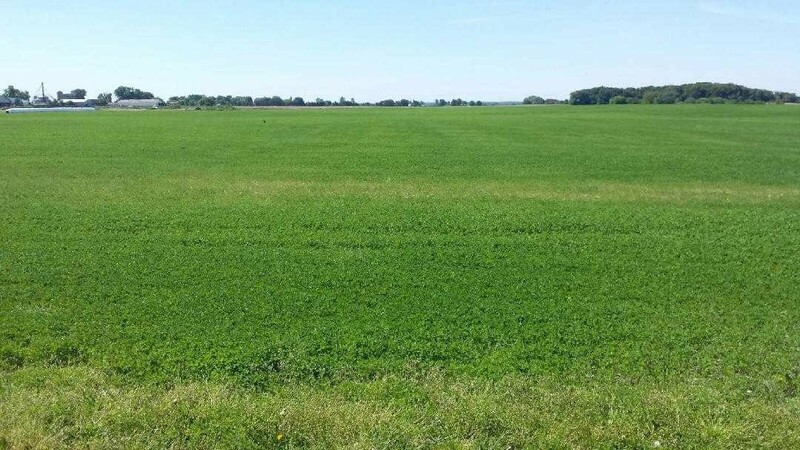 This is a new improvement in Hybrid Alfalfa with the use of msSunstra Hybrid Alfalfa Technology. Some of the characteristics of this hybrid are dense stands with fine-stemmed herbage and fast recovery. But there is an exceptional boost in yield. The fine stem characteristic of this alfalfa makes a dense, attractive alfalfa bale. 388HY Alfalfa is the variety of choice for the highest yields of high quality forage. 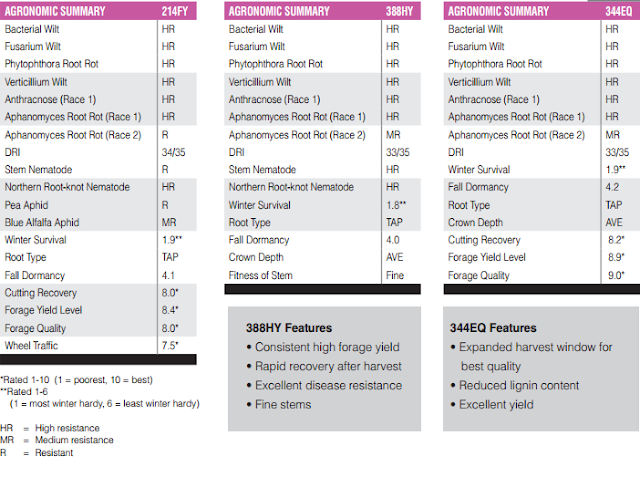 344EQ was created to provide superior forage quality over an extended harvest window for growers. It features high TTNDED (Total Track Neutral Detergent Fiber Digestibility) and NDGD48 forage scores. Yield for 344EQ is very good and it has a reliable disease package. This variety excels on farms that want to produce high yields of consistently top quality forage.